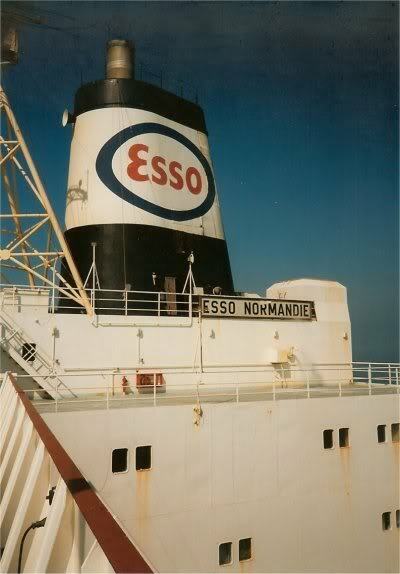 "Esso Normandie" at Antifer, France. 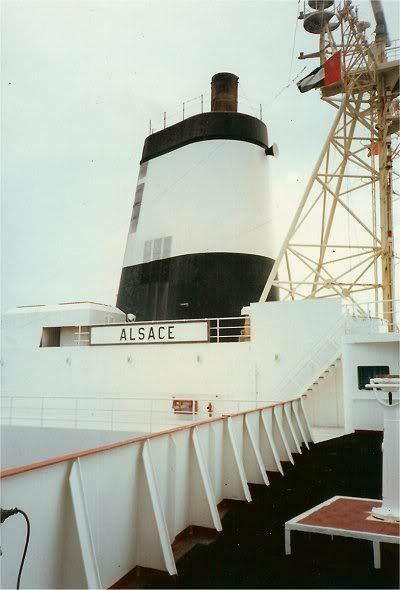 Changing colours, "Esso Normandie", became "Alsace". 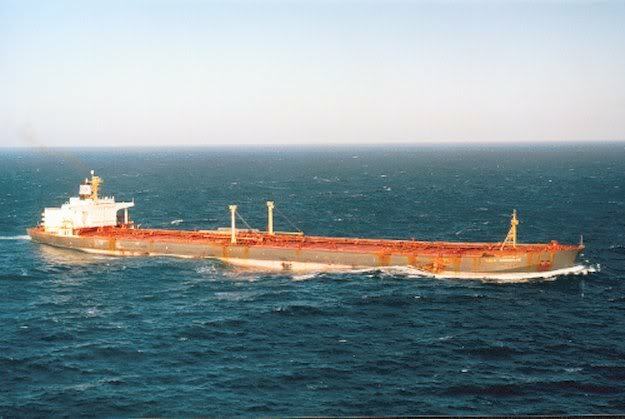 "Esso Normandie" was build in 1974, became "Alsace" in 1995 and, as seen here, "Berge Charlotte" in 1998. 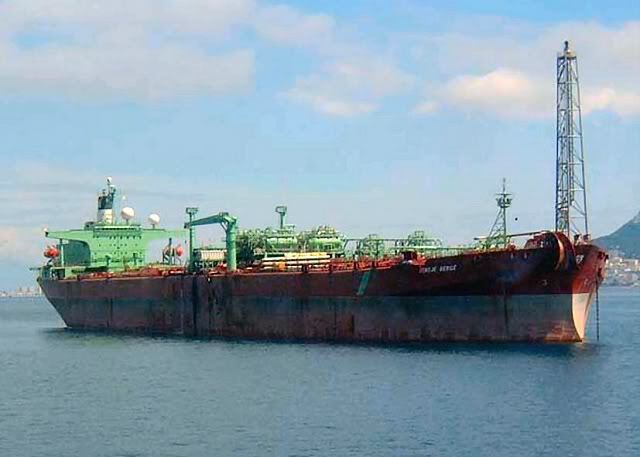 Sold in 2002 and converted to FPSO "Sendje Berge". 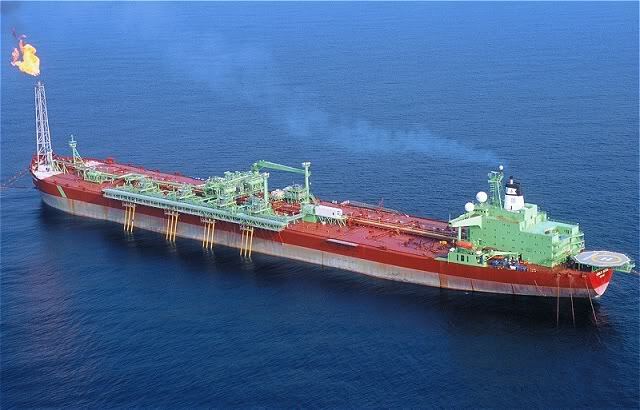 "Esso Normandie" seen here as FPSO "Sendje Berge". 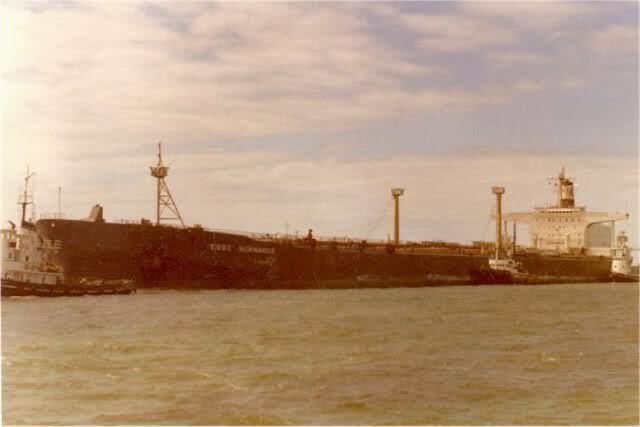 "Esso Normandie (II)", at Europoort. 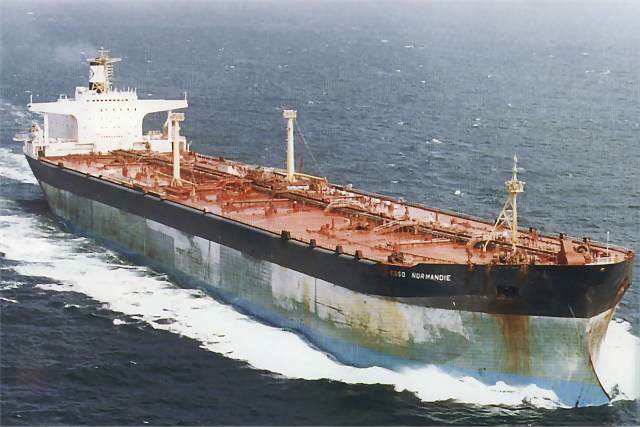 The Miramar Ship Index for "ESSO NORMANDIE"
ESSO NORMANDIE (2) (1974 - 1995) -> ALSACE (1995 - 1997) F.N.S.I. 137578 g. 106278 n. 273999 d.; 348.75oa-330.69pp x 51.80 x 27.03 meters (21.38 draught). 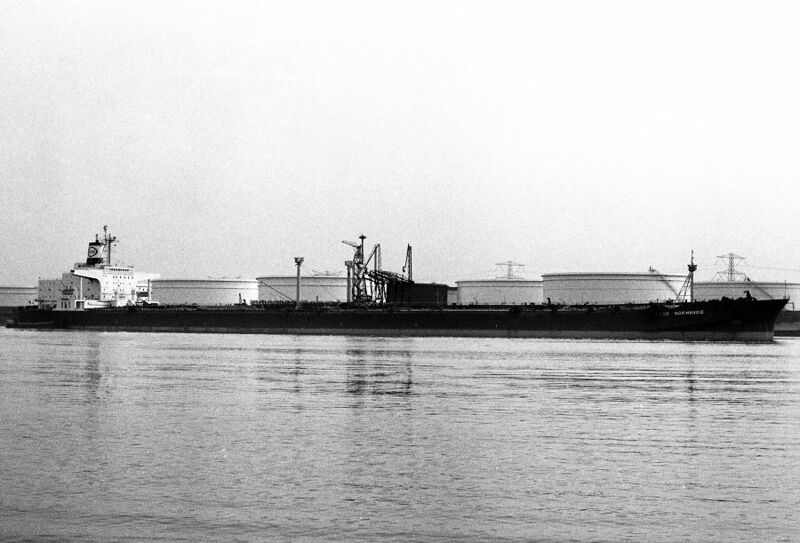 Two Stal-Laval steam turbines of 32400 SHP Dr geared to screw shaft by the shipbuilder. 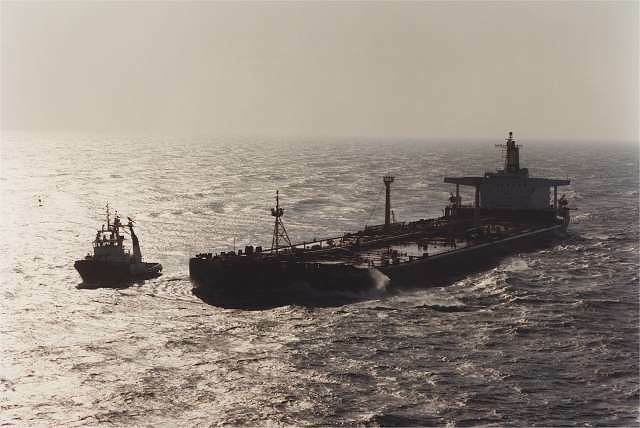 16 knots. 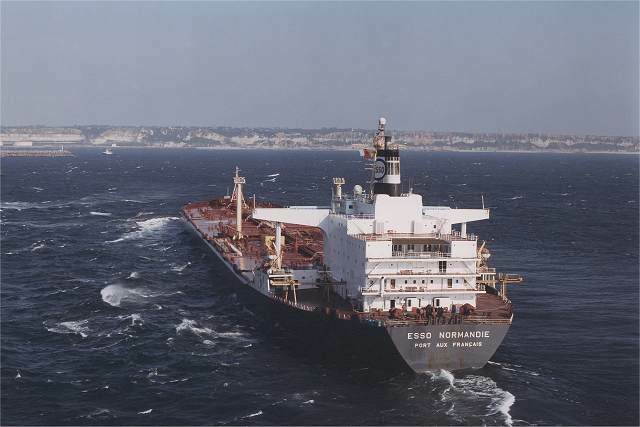 as ESSO NORMANDIE (II) for Esso-Slandard SAF, Le Havre. 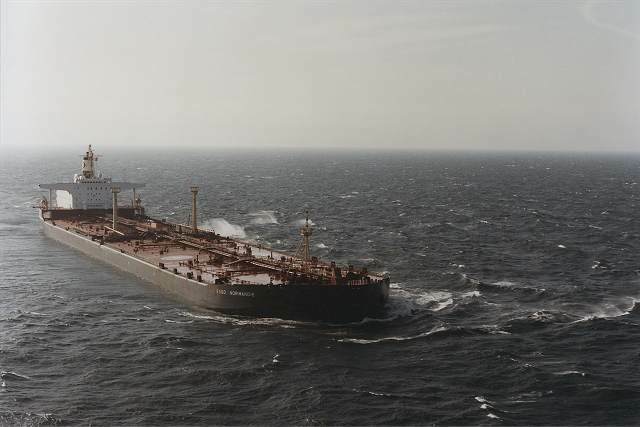 1997 : sold to Bergesen d.y. 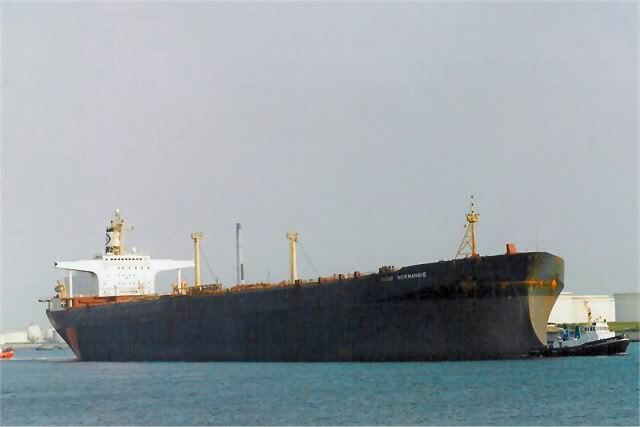 ASA, Norway and chartered back to sellers (Green Tankers-TAAF flag) and renamed BERGE CHARLOTTE. 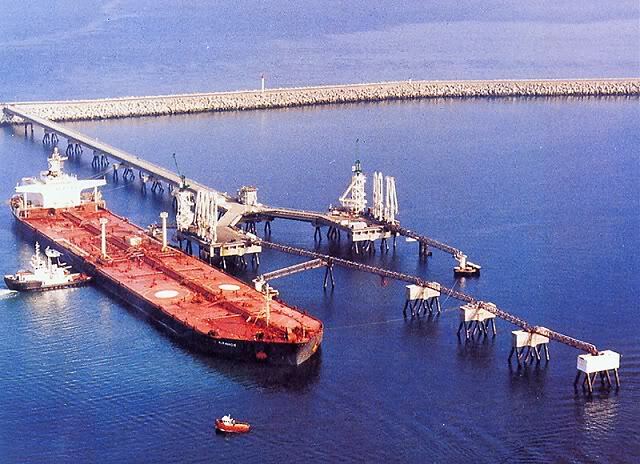 2002 : Rebuilt as FPSO and renamed Sendje Berge. 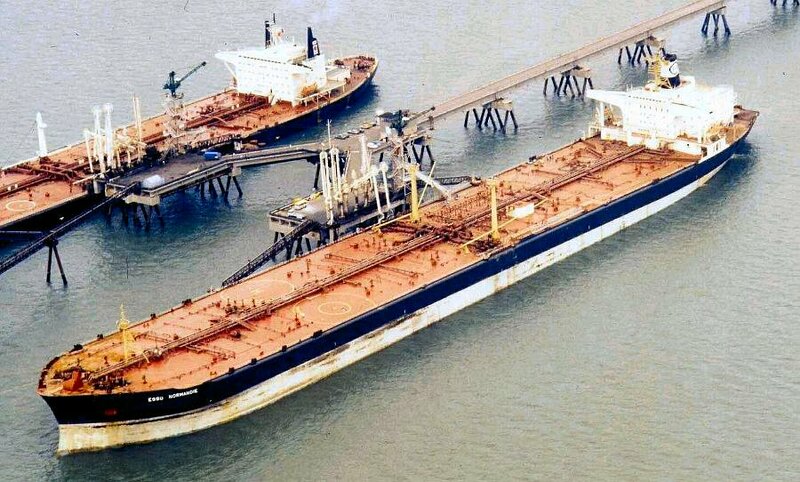 • Sistership : ESSO PICARDIE (II). 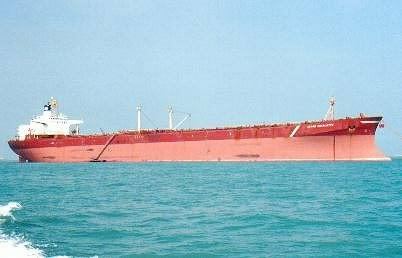 • Similar: LATONA, LEDA, LUCINA (SHELL), SAPHIR, OPALE (TOTAL Cie Fse de Nav. 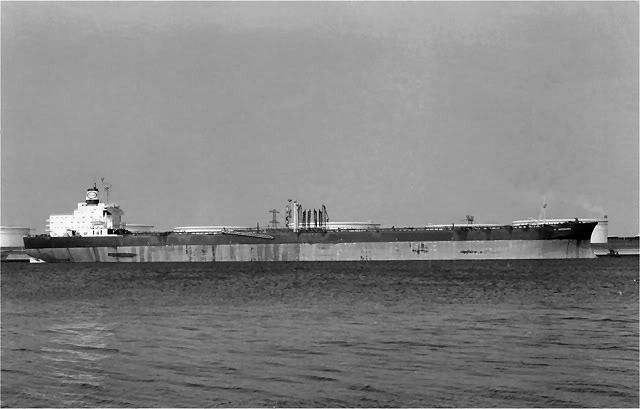 ), ISEULT (Cie Aux.de Nav. ).